Susana Jurado is Head of Innovation Portfolio-Product Innovation at Telefónica since 2015. She joined Telefonica in 1998, where she has worked for Telefónica Digital PDI’s (Product Development & Innovation), and in the Research & Innovation direction (Telefonica I+D which coordinates the global strategy of digtal innovation across the group). She has developed expertise in Early Stage Innovation model, and the Lean Startup methodology. 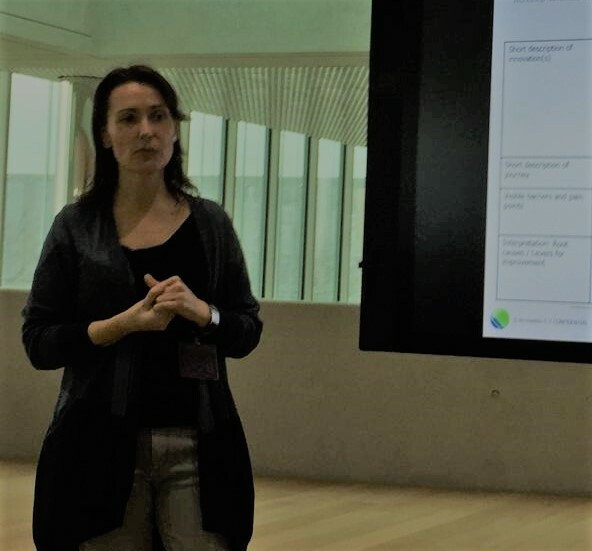 She has co-authored the Lean Elephants whitepaper, that describes experience and learnings of applying Lean Startup to innovation projects at Telefonica for more than three years. She kindly tells about innovation management and culture at Telefonica. 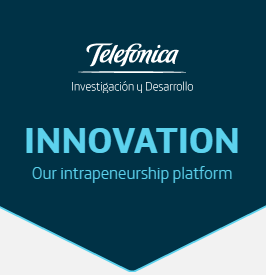 Can you describe the missions of your position, Innovation Portfolio, at Telefonica? I am currently in charge of running, and evolving the innovation process and intrapreneurship programme based in a stage gate model and innovation calls. In addition I mentor and assess some of the innovation projects. How do you balance projects between different stages, and different areas? One of the most important things of portfolio management is making sure we have a balanced portfolio, this means checking we have a healthy funnel with projects in different stages, addressing the correct opportunities and correcting deviations. One of the dimensions you have to check is if you have products with different levels of maturity. For example, it is important to make sure we are always testing new ideas so our innovation funnel is being fed, so we launch periodically Innovation Calls to ensure new ideas get in the funnel. This is not easy, because as projects mature their need for resources increase and you are tempted to devote all your resources to existing and promising projects, but this might cause you a problem in the future because not all the projects succeed, you have to test several ideas, and maturing an idea takes time. Hence if you are not feeding your funnel with new ideas in a regular basis, you can find yourself in 2-3 years time that you are not delivering new products. Another dimension is checking if we are addressing innovation opportunities in strategic areas for the company. In Core Innovation we are currently working in three core areas for the Telefónica: Network Innovation, Data Innovation and Video Innovation. It is key to ensure we are addressing the opportunities foreseen for Telefónica in these areas through the innovation projects we have in the funnel. 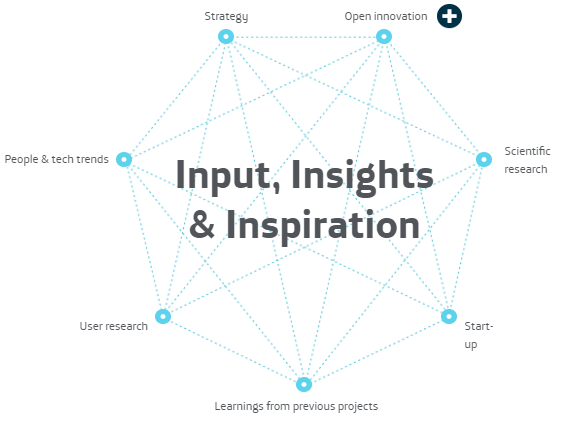 In fact, these opportunities identified for each of these strategic areas are the inputs for the guidelines that determine our innovation thesis in our Innovation Calls. 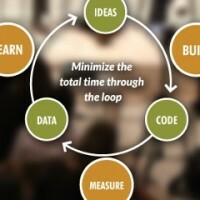 Have you a process to kill projects? I would not go so far as to say we have a process, but we do make sure when we kill a project (and this is something that might be even done by the intrapreneur himself/herself) three things happen: we communicate to whole organization the rational for the decision and recognize the team for their work, we relocate people in other projects, and do a debriefing session to extract the learnings so the team can see their effort has brought value to the company. How do you include the portfolio point of view to complement the point of view of the venture itself? When decisions about ventures are being made it is important to take into account aspects as the portfolio balance issues mentioned before, but also the cost of opportunity. It is important to ask yourself when making a decision about a venture: Am I missing a potential bigger opportunity, is this venture the best one to place the resources I have available? And this also means cost of opportunity beyond the current portfolio, you might have identified opportunities you are not addressing yet. And this is something we are starting to focus on in terms of portfolio management. 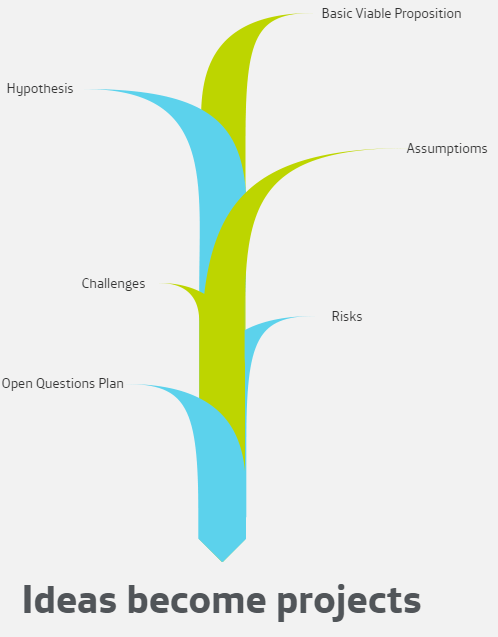 When managing innovation you have to deal with a lot of uncertainty, and still make decisions in this environment. In fact, we are working with standard machine learning algorithms testing if they can be used to predict the success rate of transferring an innovation project to a Business Unit with surprisingly good results (81% of accuracy). Which can be useful not only for portfolio management but also for innovation processes enhancement and ventures improvement. What are the programs that you’re offering to entrepreneurs? and launching our Innovation Calls. This is the core of our intrapreneurship programme, but we recently have revived our 10Fridays initiative, an ideation program where people submit ideas and they get 10 Fridays to work on them. This initiative allows us to explore and mature ideas that may end up being proposed in an Innovation Call to become one of our internal ventures. This way we are improving our ideation process and, at the same time, providing our employees with another way to devote time to work on their ideas in a way that is compatible with their day to day job. How is the stage-gate process you follow? Everything starts with pre-ideation, that includes: our Innovation Calls, and all the initiatives around generation of new ideas; activities that we carry out to identify new opportunity areas where Telefónica is well positioned and are strategic for us, hence define our innovation thesis; and the differential technology created mainly by our Research team. 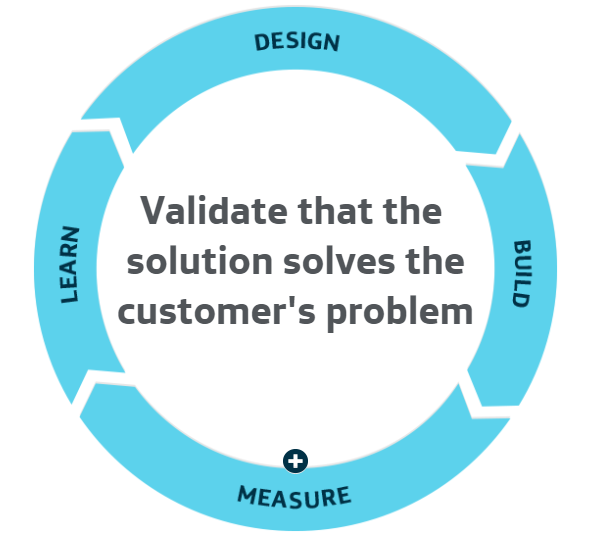 Validating the customer, the problem solved and the solution proposed. In other words, achieving problem-solution fit. This one is the only stage that its duration is pre-defined and limited, in particular its duration is 3 months. Development of a functional prototype based on customer interactions to achieve solution-product fit. 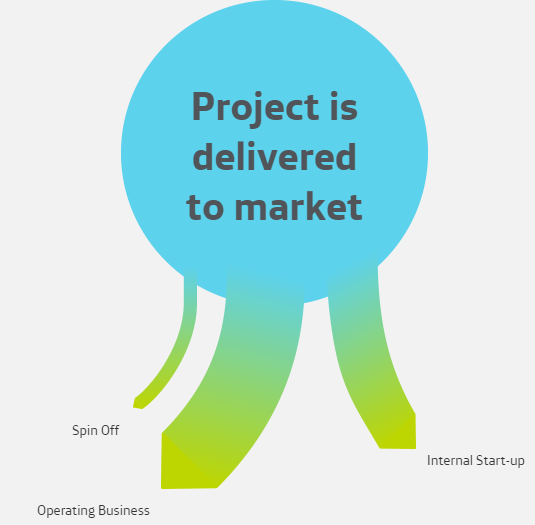 The amount of time projects remain in this stage in average goes from 6 to 9 months. Build a Minimum Marketable Product, and sell it to early customers. The aim of this stage is achieving product-market fit. In this stage projects remain between 12 months and 18 months. Industrialise the product, and grow the customer base. Usually takes from 9 to 12 months. Scale a profitable business and usually it also implies transferring the product to a business unit. The duration of this stage is limited to a maximum of 12 months. In all the stages market validation is a must, as well as strong internal sponsorship. How many entrepreneurs do you incubate per year? Usually between 15 and 20 projects, considering that some years we might have more mature projects than others, therefore less projects, and one or two Innovation Calls. You also have to take into account that during the year there are ongoing projects from previous years in different stages, new projects coming from innovation calls, and some projects are killed. Are the intrapreneurs programs available in various locations over the world? The audience of our Innovation Calls has been growing since we started. We are a global organization, so ideas for our Core Innovation Calls may come, and in fact do come, from employees located in different parts of the world. Also an amazing thing that has happened is that Telefónica’s local business units in different countries are adopting our Innovation Calls model, and launching calls for their employees. Even if your innovation venture proves to be successful there is still another big challenge: scaling-up. That is, trying to find a way to grow innovative products and turn them into the next-generation core businesses of the company. Though we have had some of our ventures spinning-out, in our case usually this means transferring the product or service, once the business model is validated, to a business unit so it can get access to the company resources needed to make it grow (not only in terms of budget but also resources from operations, marketing, sales, etc.). This is not easy because these new products and services are competing with the rest of the portfolio for those resources, and they are not part of the core business yet, they still have to show that they can become the core business of the company, so their situation is quite fragile and they are walking on thin ice. We have recently put in place a new scaling-up process based on our experience and on best practices learnt from other companies that is being applied during Scale-up phase of our stage gating process. But one of the things we have learnt during these years of incubating internal ventures is that scaling-up starts before the Scale-up phase is reached. Alignment with the company’s strategy and addressing fundamental needs are key, so we involve our business units in the definition of our innovation thesis, which determines the areas we will be working on, and sponsorship from a business unit is required for all our ventures from the very first moment of their creation. What are the outcome of your entity that you are particularly proud of? Can you name a few exit stories and intrapreneurs projects examples? There are several outcomes of our entity that I am proud of. We have created a wide range of products for Telefónica that go from a product that using our roaming grouped and anonymized data can help city councils understand how tourists move in their cities, a product with a differential technology that allows our customer to secure their devices protecting them directly from our network, a product that provides retailers with information about how customers move in their stores to make better decisions. Also, as a result of the set initiatives developed in our area around IoT, a new IoT business unit was created with these results as the seed that made it possible. We are currently working on scaling a venture, presented in this year’s Mobile World Congress, created by its founders with the aim to connect 100 million people unconnected in Latin America. I have even also witnessed how an industrial forum like the GSMA, the Personal Data Program in particular, adopted a hypothesis validation model as a result of the involvement of our intrapreneurs in the Mobile Connect initiative (I explain it in this article I wrote with the intrapreneur). What are the main obstacles you had to overpass in the set-up of intrapreneurship? We had to face and get over serious obstacles like the cultural and mindset change needed, dealing with corporate politics and processes, finding our intrapreneurs, what branding should we use in our ventures’ experiments or measuring success. 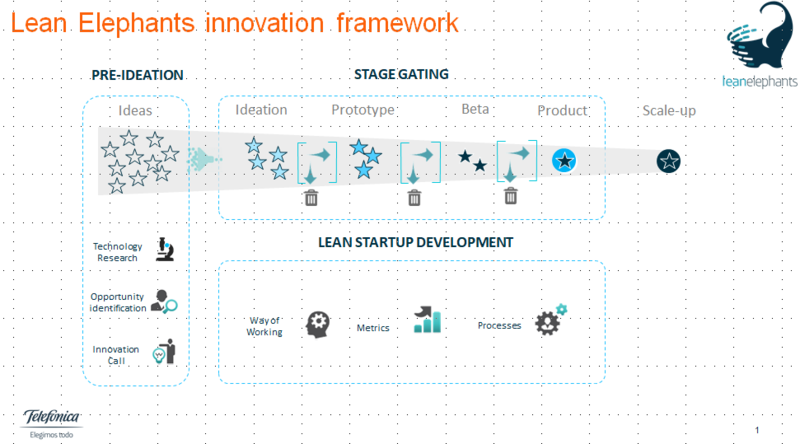 In the white paper Lean Elephants, I wrote with a colleague explaining how we carried out the big change in how we innovate, we address in detail those obstacles and how we overcame them. Making the selection of ideas process fair and objective, and providing meaningful feedback to the intrapreneurs whose ideas have not been selected. Do you still struggle in measuring intrapreneurship impact? One of the biggest challenges we face in large and stablished organizations is the pressure to show in advance what your innovation portfolio is bringing and can bring in the mid-long term to the company. It is important to trace the impact that the products, services or technologies that came from your innovation portfolio are having in the business. You definitely have to track the revenues and efficiencies coming from them. Also it is difficult to measure the impact you have in the brand. There are several studies that show that innovation has a positive impact in brand equity, but there is not an easy way to measure this contribution. Scaling-up and measuring the impact of innovation in the company are still challenges I am currently addressing. Also incentives and rewards for our intrapreneurs is another challenge I’m addressing right now.